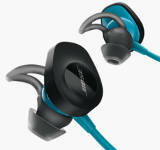 Free Delivery and discounts on top spec audio systems and headphones at Bose.com. Try before you buy with a 30 day no risk trial and free UK delivery on orders subject to a minimum spend. Get delivery within 3–5 working days on a range of Speakers, Headphones and Home Cinema. Bose is world renowned for producing top quality audio equipment with ground breaking, leading edge technology for use at home, at work or on the go. Being a household name in high quality audio technology, Bose is continually investing in new innovative designs of home and personal audio that fit perfectly into any home. I believe nearly everyone has come across or inadvertently heard a quality Bose audio system. Historically the sound systems were confined to entertainment venues of restaurants. Bose systems are now found more and more in the home than ever before. Anyway this review is about the usability, functionality and look of the Bose.com web store rather than the products so let’s go. The homepage is of modern and simple design with uncomplicated graphics and link structure. The main menu is made up of the 2 main product categories, speakers and headphones plus customer support and a bit about Bose history and promotion. The support page is made up of product videos, FAQ’s, with each product having a troubleshooting guide, setup and use instructions and product manuals. At the end of the page there’s customer support contact details offering a contact telephone number and email support. Buying is simple with one-click buy button taking customers straight to the basket page. There’s even a 30 day risk free product trial. Disappointingly there is no way to enter a voucher code from the basket page, hopefully this will come later. After popping in contact name and address details the next step is payment. Payment options are debit/credit card and PayPal. Still haven’t found the voucher code box, who knows where this is if at all. Delivery is free on all orders, so no hidden cost there. In conclusion this is a easy to use website with lots of help and information. There’s no arguing that the Bose product is quality in design and function and maybe they don’t need to offer discounts. However the lack of discount code functionality is unusual and I’m yet to come across another site without the action.